RestorFX Automotive, Inc. (RestorFX) is pleased to announce the addition of it’s newest franchisee Oliver Northcott and the soon to be newest RestorFX Center in Concord, New Hampshire. With no prior work experience in the automotive industry, Oliver is an excellent example of the broad range of appeal that RestorFX has for those looking to stop putting in time building someone else’s dream and who are determined to start building their own. “We met Oliver through our great relationships with IFPG Consultant members at The Entrepreneur Authority (TEA). As a referral from TEA broker Charlie Bever, Oliver represents just one of the many great candidates in our sales process that were brought to us by a highly skilled broker who truly understands the exciting potential of a RestorFX Center for a broad range of their hard earned clients.” said Sales Director Tony Dowsett. Oliver’s RestorFX Center will be the first in New Hampshire which, between the Concord and Manchester markets, will be a great location the RestorFX Restoration, Protection and Maintenance services. Personal Center Advisor Allison from RestorFX has begun to work with Oliver to get the ball rolling right away; a full service experience which includes working with a top international real estate company to accomplish strategic site selection and build-out. Franchising has been a recent addition to the business model at RestorFX. With many years of experience operating corporate locations and partnering with licensees, RestorFX has been able to package the best of it’s experience, systems and successes to create a turn-key solution for those looking for a niche brick and mortar business opportunity. A RestorFX Center provides unique services with a blue ocean of opportunity, lower financial barrier to entry than most brick and mortar franchises, environmentally friendly initiatives and the potential to be up and running in 3-4 months. We are pleased to welcome Oliver to the family and look forward to introducing the Concord market to the power of RestorFX. 17 years, 44 countries and over 200,000 vehicles given new life! 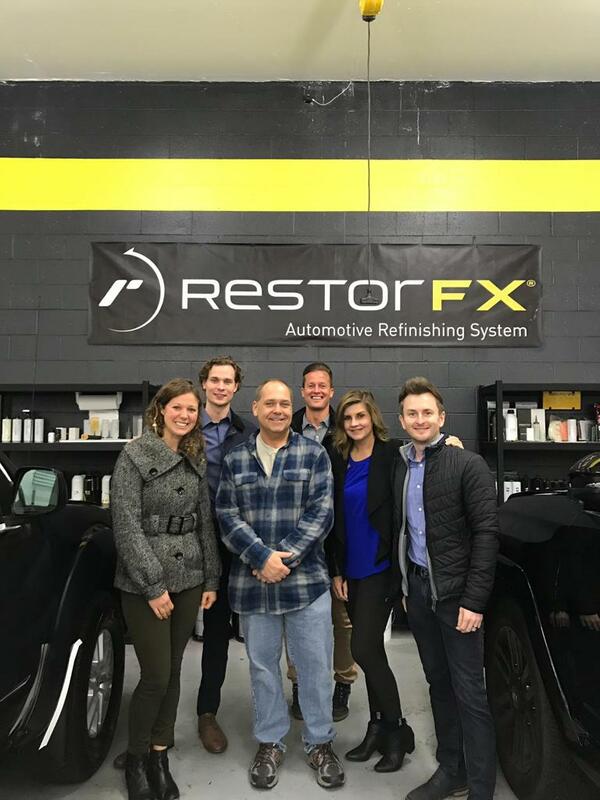 RestorFX is a professional system that permanently restores automotive paint finishes through a disruptive technology; with an accessible and complete business platform to build a legacy on. Come to a RestorFX Center Day to experience RestorFX for yourself and see first-hand how you can love what you do, become a part of a global family and participate in the evolution of an industry! Contact Sales Director Tony Dowsett at 206.899.7941 or tony@restorfx.com for more information.